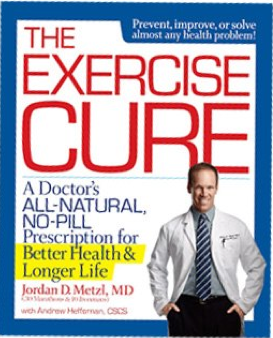 Jordan D. Metzl, MD, who has participated in 30 marathons and 11 Ironmans, along with Andrew Heffernan, CSCS have written a book called The Exercise Cure: A Doctor's All-Natural, No-Pill Prescription for Better Health & Longer Life. Dr. Metzl believes that exercise can potentially avoid disease and increase a person's life expectancy, with exercise being beneficial against all kinds of medical conditions. How the book is laid out is AWESOME! First, it talks about exercise in general. Then, it goes through a number of medical problems. 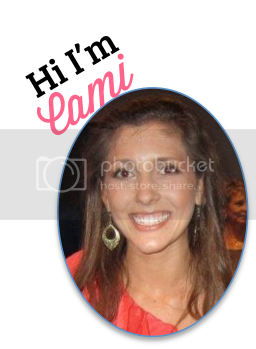 For example, memory loss and cognition problems, chronic stress, cardiovascular disease, etc. It goes through the symptoms of each medical problem, what happens in your body, and how exercise can help. It also gives you examples of exercises to help you cope with the particular medical problem. For some of the examples, there are example exercises laid out with detailed instructions, along with photographs as to how the exercise is done. The book then contains a number of workout programs and more examples with photographs! There are also some caveats if you are working out for the first time that is included. Nutrition and eating is lightly touched in the book. Since the book is primarily about exercise, it makes sense! Even if you are fairly seasoned and educated on exercise, this book is very interesting and helpful. It gives you a lot of information that you might not have been familiar with - for example, the important of foam rolling. Hubby has a foam roller I just never used it because I didn't realize the importance of it - now I do! ESPECIALLY if you are an exercise beginner, I recommend this book. It will help you a great deal with getting into your head why exercising is so important and where to start. Some people simply do not know where to start! More than ten million people suffer from osteoarthritis of the knee. Many people wait too long to see a doctor about it and deal with their pain with over the counter medication or just live with the pain and limited mobility. Many people are turning to hyaluronic acid knee injections if they are not receiving enough relief from their pain medication. Dr. Metzl would like you to visit his Orthovisc website if you suffer form this or at least see your doctor. Disclaimer: I was provided the bookt to review and not compensated in any other way. All opinions are 100% my own and I stand behind my review.